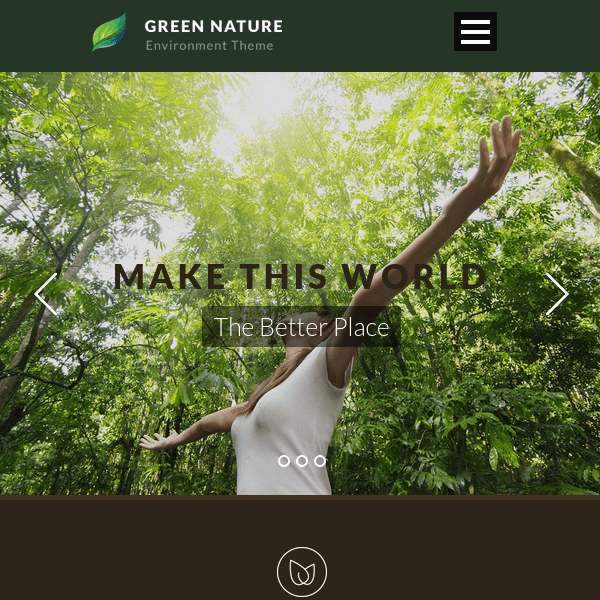 Green Nature – It is a WordPress theme used for non profits. 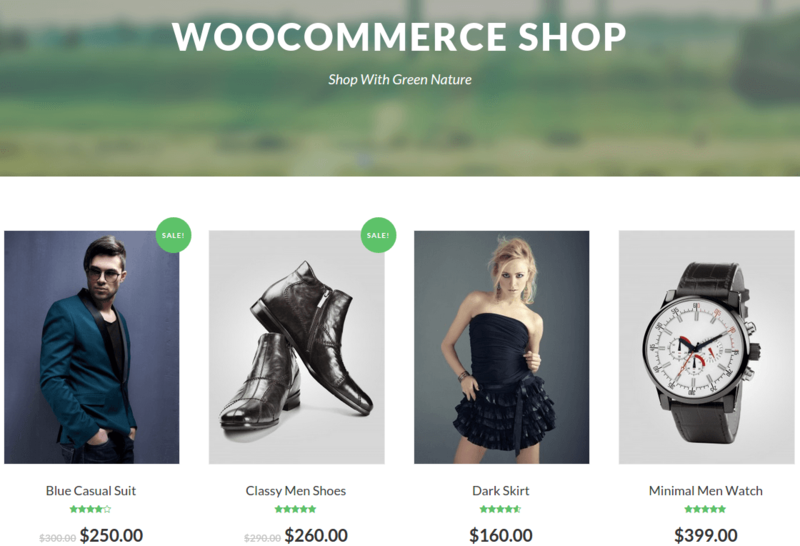 Hence suitable for environmental, nature, animals, foundation, paypal, natural, ngo, earth website. Donation systems are involved with this via Paypal and Stripe. The theme is packed with number of awesome features : Fully Responsive from larger devices to smaller screen, hence mobile ready, similarly retina ready for high resolution display of images, advanced admin panels so that anything can be changed as per your need such as color, font, background images, header styles, goodlayers importer support to import the demo with simple one click, integration of powerful slider named as Master slider, also compatible with the most popular ecommerce plugin ‘WooCommerce’ and also compatible with WPML. 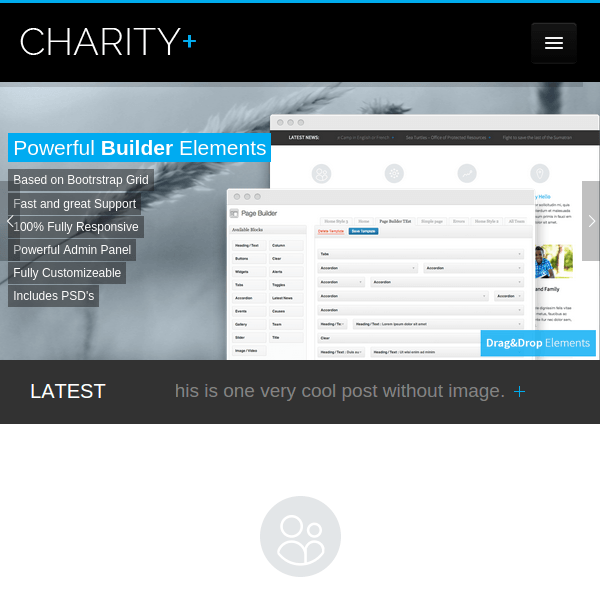 The theme is very easy to use, understand and deploy, support is fantastic. It comes with mindblowing capabilities and flexibilities. options to disable header, footer or both of it. 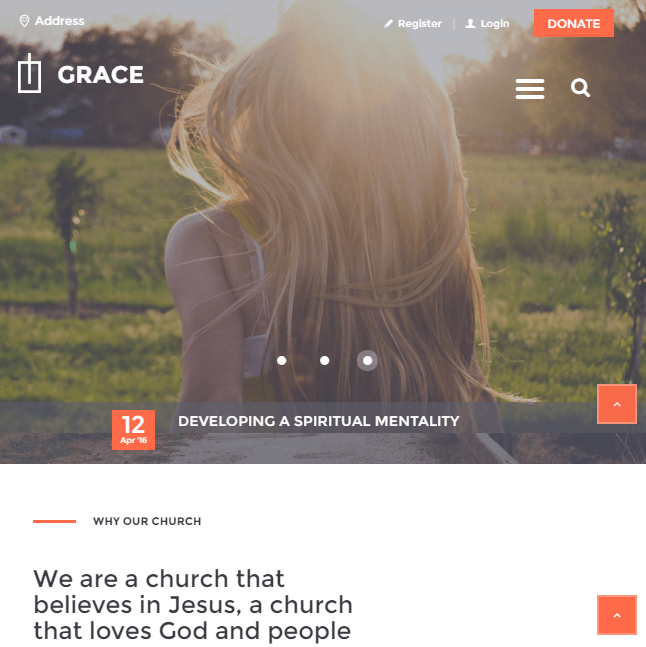 Scalable Container , Floating Navigation and use of 2 different layouts Boxed/Full Width Layout. 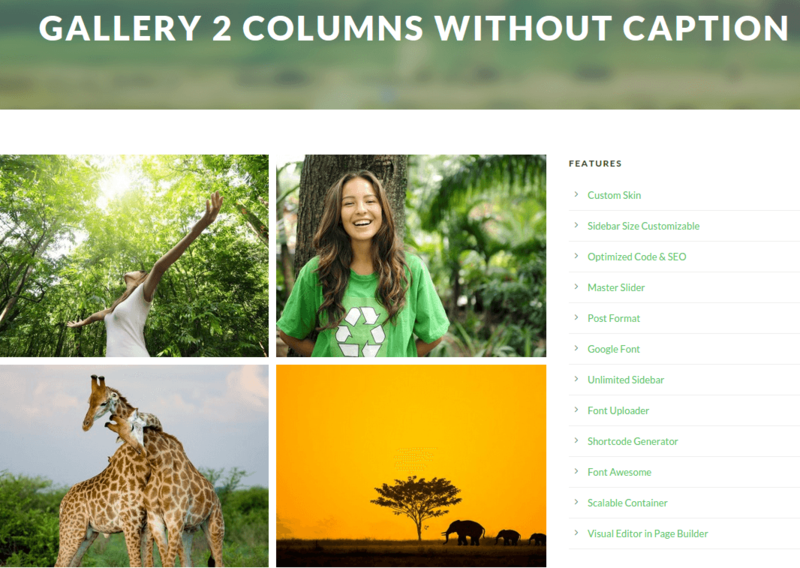 4 Blog Styles – Column, Medium, Full, Masonry, 6 Port Styles – Classic, Classic without space, Modern, Modern without space, Modern Masonry Style 1, Modern Masonry Style 2, Post format support – audio, video, gallery, image. 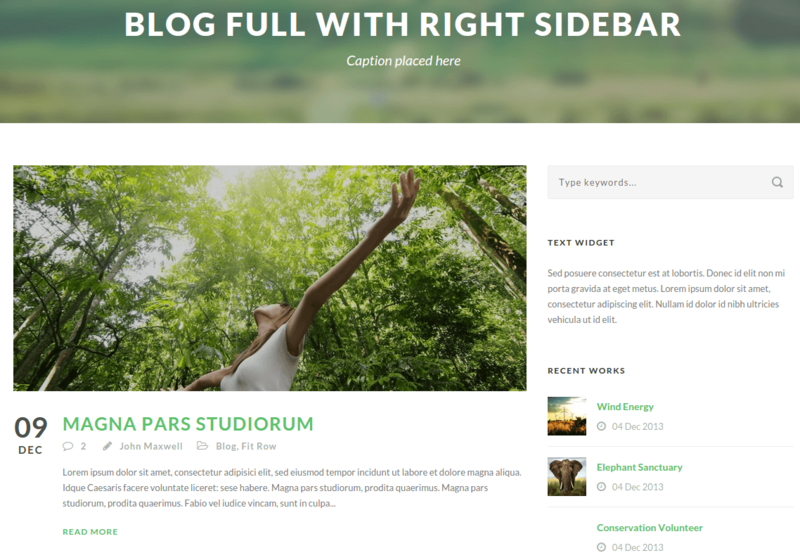 megamenus, shortcodes, social links which are placed in header and customizable sidebars and many more features. This theme is specially created for the one who is fond of nature, loves to protect environment etc. With Websites, it is very easy to achieve it. Even, trees and animals can be protected. Really Great theme with retina ready design !